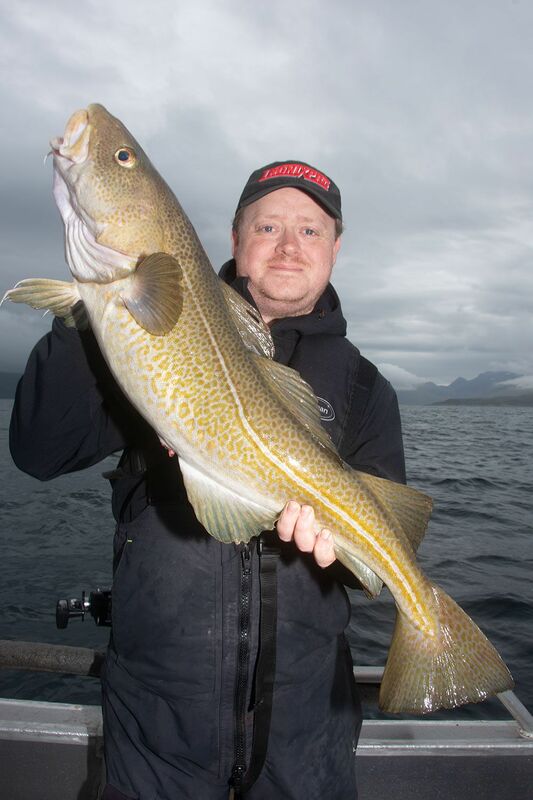 Mike Thrussell Jnr looks back at two trips where he was converted to the way of slow jigging, targeting coalies and cod in Norway and wrasse and pollack in Ireland. Although I’ve been to Norway several times, this was the first trip where it was purely for pleasure. The camera was still with me, but only to be used in exceptional circumstances. It would be a novel experience and one I was really looking forward to. I’d chosen to spend a week fishing the Sandland Brygge Camp which gave me access to the lucrative Loppa Plateau. By some miscalculation of the calendar I’d managed to almost double book myself, I’d been planning this trip for over a year and a half, everything was organised and then I suddenly released, I’d have half a day at home after Norway and then I’d be off to Ireland to fish the Rosslare Small Boat Festival. This meant I had to be super organised! Packing for Norway is actually easy, you don’t lose a great deal of kit, the tactics used can be narrowed down and most of your gear can easily fit into your suitcase with your wet weather gear and a few clothes. My weapons of choice were the usual array of big shads and jig heads. Allied to this I’d be taking some HTO Artic Eels, Mighty Minnows and Real D’Eels. 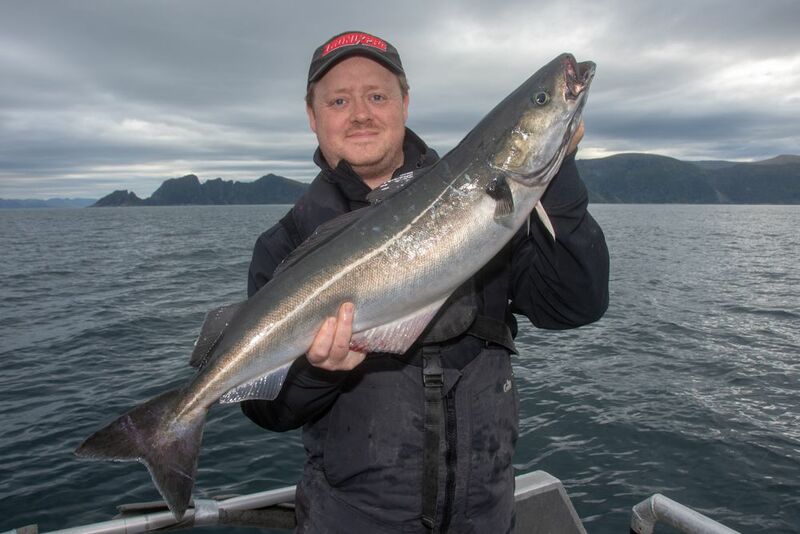 Although the main purpose for this trip was to catch a halibut, something I hadn’t managed on previous visits, it was also to have some fun on light gear too. This is why I chose to take a compliment of HTO Slow Jigs with me, with a 4500 sized fixed spool and my HTO Shore Game (8’8″ – 7-28g), this would more than take care of the fun element! To cut a long story short, the halibut mission was achieved pretty quickly and from there on in, it was a case of breaking out the light gear and having some fun! Speaking to the camp guide, the coalie fishing had not really been on at all throughout the year. The shoals of huge coalfish hadn’t turned up in their usual numbers and finding the bigger fish would be sporadic. Given the type of gear I had with me, anything into the double-figure mark would do me nicely, so I wasn’t too concerned about the lack of real lunkers. Fishing to the west of Little Loppa, I chose to fish with the chrome/black 07 coloured Slow Jig in 120g. I prefer to use a natural colour, dark ones especially. Due to the way slow jigs are weighted, they can be a pain to send down to the bottom. Releasing them vertically in the water helps to send them down quicker. Once the Slow Jig had hit the bottom, I retrieved around 20 turns of the reel and started to work the jig. Bringing the rod tip to a 30 degree angle and then quickly lowering the tip would impart an enticing fluttering action. It wasn’t long before the jig was hit, the drag was set lightly so the 28g HTO Shore Game wouldn’t be too overtaxed at the get-go. The fish steamed off like a train, a clear coalfish run! With the rod bent over double and line peeling off the reel, it was a case of holding on tight and letting the fish tire out its first run. Eventually, the fish stopped, and I was able to crank up the drag a little and start pumping the rod to gain some line. The fish only came up around 20 feet, before it was off again. This time a good 10 second blistering run and it stopped again, shaking its head trying to rid the assist hook from its mouth. I was able to gain some more line on the second lull, it came up three-quarters of the way before another shake of the head and another blistering run. It’s incredible how much power these double-figure coalies have in reserve. On the third attempt the coalie was brought to the surface, it clearly didn’t like the light of day and with a trash of its tail, it was headed off again, a deep dive that seemed to last a lifetime. When it eventually stopped, it was clear the fish was starting to run out of steam. Another few minutes of slowly coercing the fish to the surface and a fine double-figure coalie was in the boat. Although the Shore Game is only rated to 28g, the fast action blank has bags of power, it was almost triple bending at some points during the fight, but there was never any doubt it would eventually prevail. 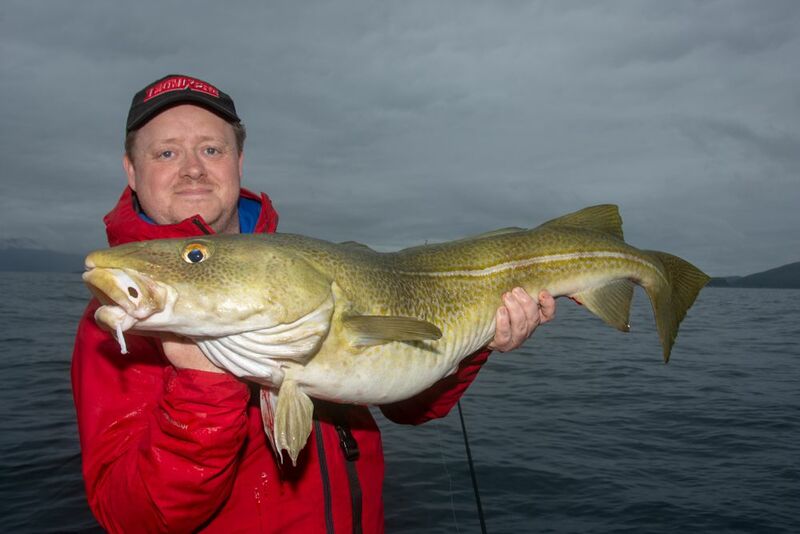 There is a big difference to the way cod fight in Norway, the cold seas are their natural habitat and a cod will fight more akin to a pollack in the UK, they’ll go on good runs, nodding as they go and give you one hell of a fight. The ones between 15 and 25lbs will give you a serious run for your money on light tackle. They’re not the steamroller that a big coalie is, but they certainly put up a decent scrap! A change of location saw us drifting between the islands of Loppa and Silda, a long drift that would see sporadic pockets of fish, where all four rods would be bent into cod or the dreaded torsk. There was plenty of fish coming aboard into the double figures when all of a sudden, my 07 HTO Slow Jig was hit again! It was a cod, you could tell instantly. The initial run was steady, not the impact run as the coalfish, but it was nodding with vigour. By this point, the HTO Shore Game was fully bent, (much to the amusement of the rest of the crew) and line was peeling off the reel at a steady rate of knots. Eventually stopping, it dug deep and started to nod. I gained a few feet of line, the fish burying its head now and again, but moving up at a steady pace. Halfway up, it decided it needed to run again, you can feel when a cod is ready to run, it gave the tell-tale warning sign. Again, the line began to peel off the reel as the rod was bending more and more, stopping briefly before going for another run. It made another half dozen runs before eventually tiring, making itself available to be retrieved steadily to the surface. We were not fishing for food, so it was important to bring the fish up steadily, giving itself time to vent so it could be returned safely after a few pics. The fish eventually broke the surface, a fine-looking fish that unlike the coalfish previous, allowed itself to be boated with minimal fuss. Weighing the fish before returning, it bounced the scales at 21lbs, a lovely fish on a 28g spinning rod. The rest of the week turned up several double-figure coalfish and cod on the HTO Slow Jig, the same setup also caught redfish and the obligatory torsk too. We never really got around to fishing for the halibut on the light gear, but that is definitely something that I’ll be doing on my next visit. 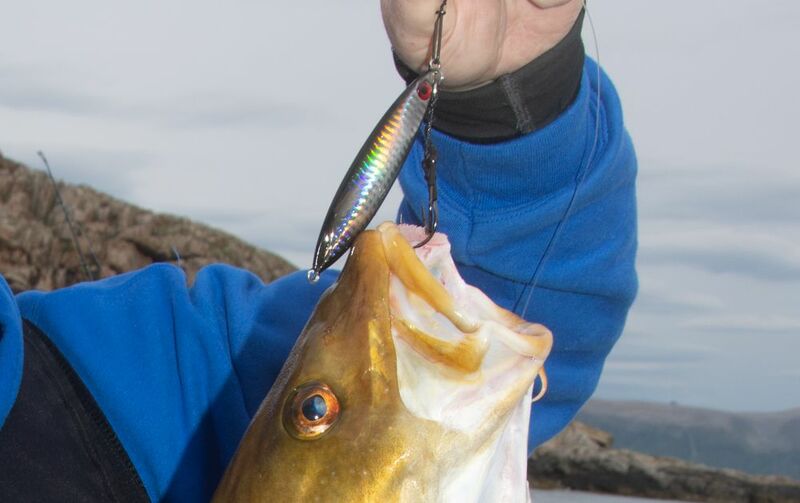 Fishing with the slow jigs in Norway had me thinking of changing tactics on my next trip to Ireland. 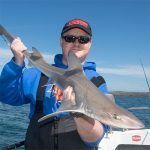 There are a couple of marks we fish as a team that are usually subjected to the standard shad or flying collar rig tactics. These marks are hairy, and you often only get a few minutes at most to fish them before you’re pushed off and need to reset. They’re also snaggy as hell, with getting stuck often a feature of using trailing lines, booms and leads. So, on the plane home from Oslo, I decided I’d start using slow jigs on these marks as well. My theory was that they would be less prone to getting snagged and they could well sort out the bigger fish too. The first chance I got to use the slow jigs in Ireland was on the third day of the competition, it was by far the best weather wise and it gave us access to some of the marks that had been out of bounds on previous days. Namely, Conningbeg Rock. Conningbeg Rock is a pinnacle of rock that sticks out of the sea, it is surrounded immediately by between 2 and 5m of water and then drops suddenly into 30m and beyond. It is this drop off where the fish lie and to fish it effectively you need to motor up to almost touch the rock and allow the water flow and tide around the rock to drift you out to the drop-off. Ideal territory for the Slow Jig! I picked out the 07 colour again but this time in the 80g weight, I’d also changed rod too, this time fishing with the HTO Nebula 2.1m, the same rod I used for Blue Shark fishing last summer. The extra fast action of this blank gives me more control over the slow jig in this kind of territory, it requires smaller, intricate movements to get the right action. Watching the sounder for the drop-off, I released the jig as the drop off came into view. It touched bottom and I wound up a couple of turns, lifting and then dropping and whollop, it was fish on already! It wasn’t fighting like either a pollack or a coalfish, it was sharp, jagged and powerful, it tried to bury its head for the rocks and kelp several times, but I was able to steer it away. It would come up a couple of feet and then try the same. Eventually, it tired, coming to the surface with the occasional speed burst, but always coming in the right direction. It was a good-sized Ballan Wrasse, it tipped the official scales at the weigh-in at 1.92kgs, 89.30% of specimen weight, an absolute cracker. It was the second biggest wrasse of the festival and the second biggest specimen too. It wasn’t the only one either, the HTO Slow Jig nailed a further dozen or more wrasse, all of a decent weight. It certainly seemed to pick out the better fish in the harder to fish areas. Sadly, we were in competition mode and once we had the fish onboard, we were off to the next location, so I never did get a picture! 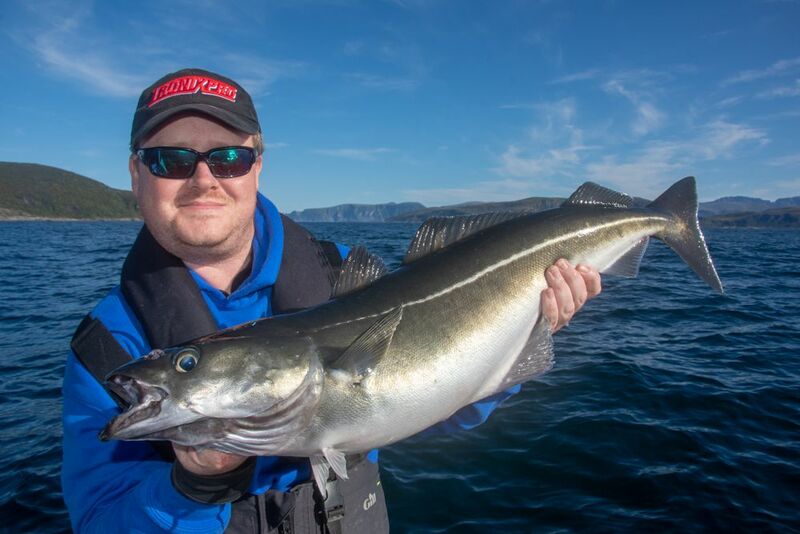 Norway was the first time I’d really used Slow Jigs in anger, it was also an eye opener as to how effective these jigs can be, not just for the general species you expect to readily accept jigs, but for others too. I know plenty of anglers who are jig fishing enthusiasts who have collectively caught more than 40 species in UK waters on slow jigs and I can well believe it. It has certainly perked up my interest, especially because you can fish them on such light gear. All of the tackle mentioned in the blog above is available from HTO Stockists, to find your nearest stockist use our Store Locator.